What do you do when you are faced with the challenge of raising considerable amounts of money to fund one your biggest dreams? Sell your vacation home, of course! 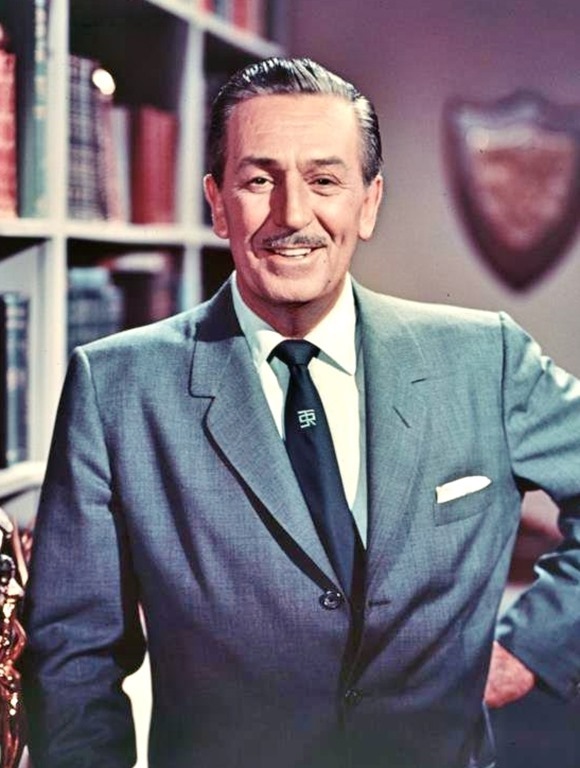 At least, that’s what Walt Disney did when he sold his first vacation home located at Smoke Tree Ranch in Palm Springs, California, to help bankroll the building of Disneyland. Specifically, the money Walt raised through the sale of the home he had built in 1948 went to pay for two locomotives and the railroad track surrounding the Park (owned personally by Walt through WED Enterprises). 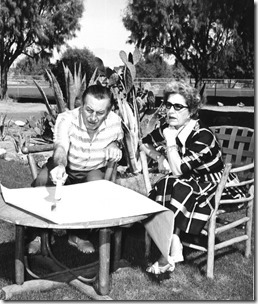 Walt and Lillian first started visiting Smoke Tree Ranch in the 1930s, staying in the ranch’s guest cottages. 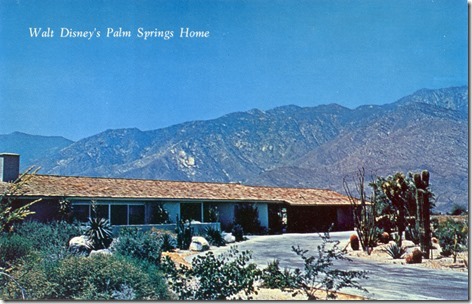 Walt was fond of polo and horseback riding, so Palm Springs was a natural destination, being rich in both pastimes. Walt enjoyed riding in Palm Springs with a troop known as the Rancheros, a group that made an annual journey on horseback. As Frank Bogert, former mayor of Palm Springs and fellow Rancheros rider recalled, “When you camp with a guy, you really get to know him. 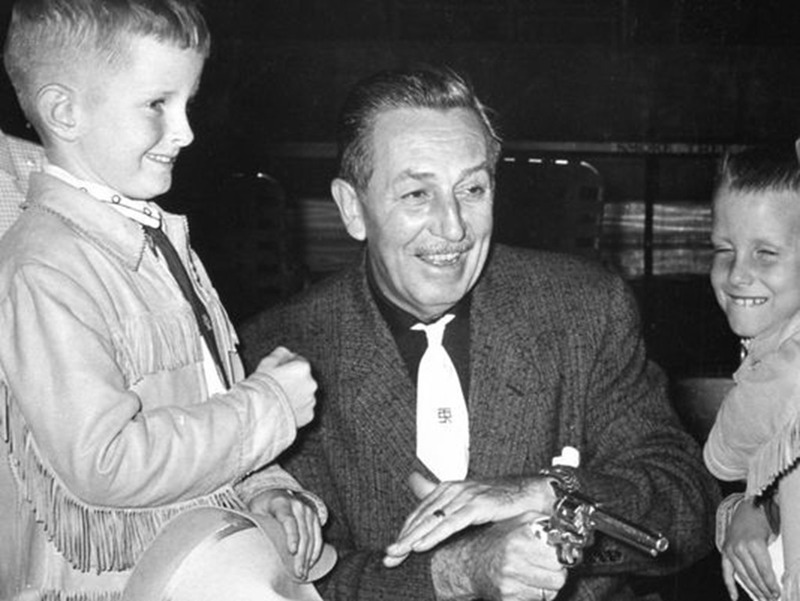 He [Walt] was the best.” Frank and Walt rode in the same camp for three years. 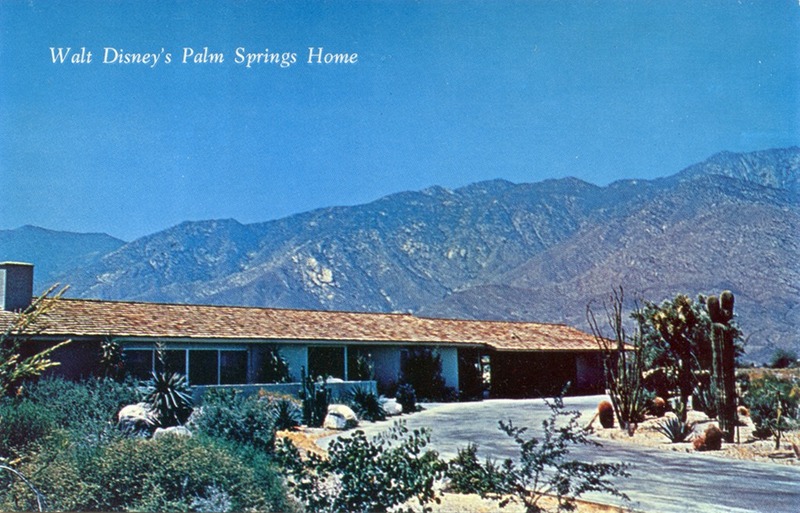 When Walt and Lillian first expressed an interest in buying a lot on which they could build a home, the Colonists, as Smoke Tree Ranch Residents are called, were highly skeptical. Smoke Tree Ranch was a bastion of simple-life values. 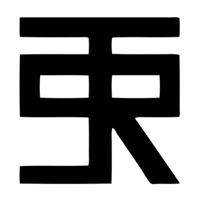 Captains of industry could own a home and not draw any attention to themselves – a unique opportunity for them. 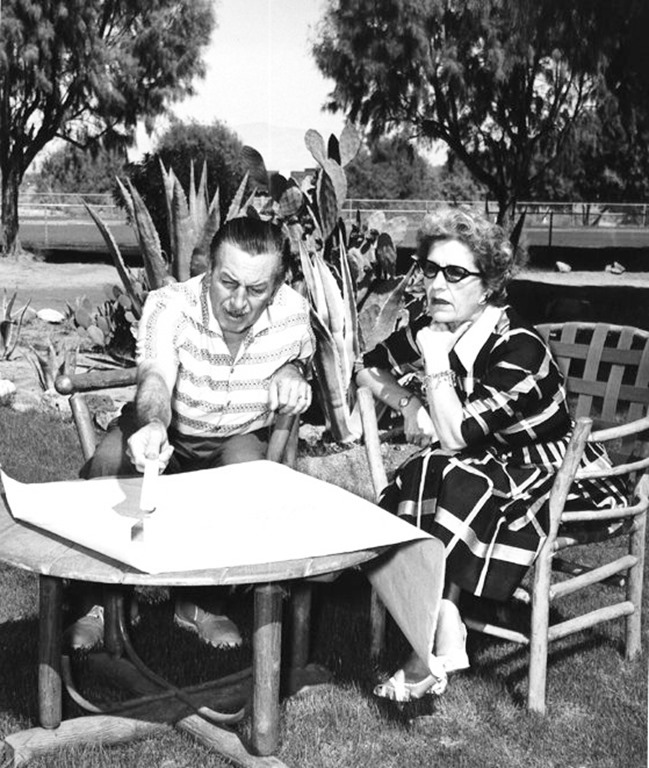 According to Maziebelle Markham, one of the owners of the ranch, “Nobody wanted anybody to know who they were back home.” And Walt Disney was certainly known. However, even though Colonists feared Walt would expect special treatment because of his Hollywood status, their fears were unfounded. Fellow Colonist Marjorie Crommelin summed it up this way: “…he fit in very well with both our residents and our way of life.” Actually, Walt not only fit in, but he contributed greatly to the ranch. Walt served as a member of the Board of Directors and he and Lillian contributed to the lawn bowling competitions, providing the trophies for the winners of the tournaments. After giving up polo playing and golf for good, due to health concerns, Walt turned to lawn bowling and became quite the aficionado. To this day, lawn bowling is a popular activity on the ranch. 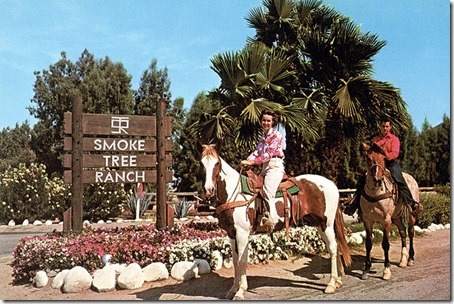 Faced with the need to raise funds for Disneyland, Walt decided to sell his first home at Smoke Tree Ranch. He also asked fellow Colonists if they would like to invest in the new enterprise, but most turned him down. However, one fellow Colonist and good friend of Walt’s did agree to invest in the Park – Donald S. Gilmore, CEO of The Upjohn Company, headquartered in Kalamazoo, Michigan. 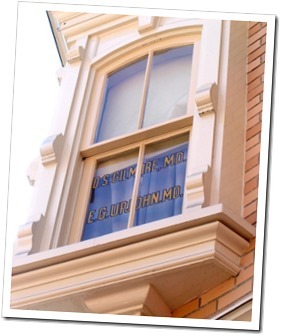 The Upjohn Pharmacy located on Main Street, USA, was a meticulously designed pharmacy of the 1880s. 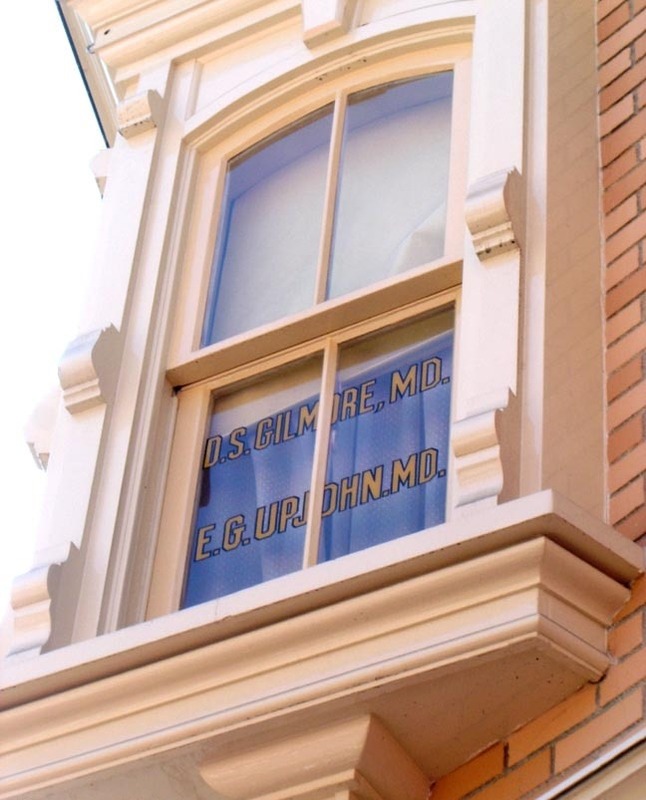 Though a pharmacist was on duty, it wasn’t a functioning pharmacy, but acted more as an advertisement for Upjohn and added a much-needed source of income for Disneyland. 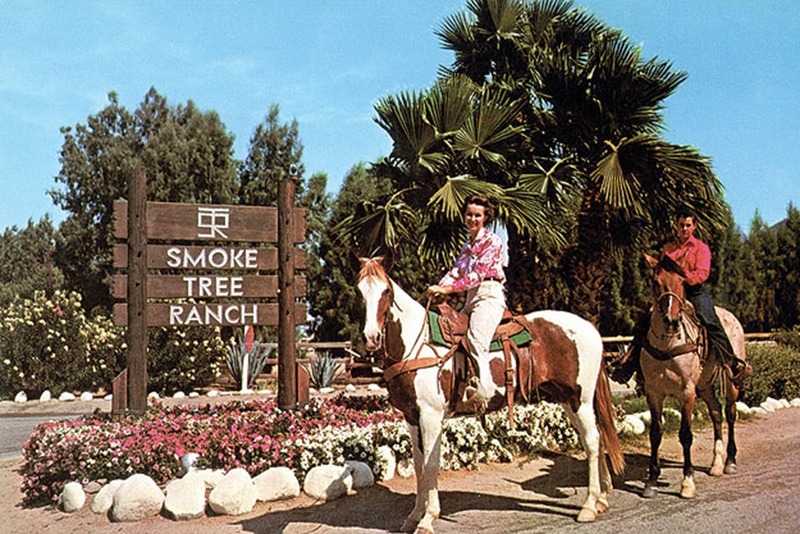 Walt’s love of Smoke Tree Ranch was real and tangible. 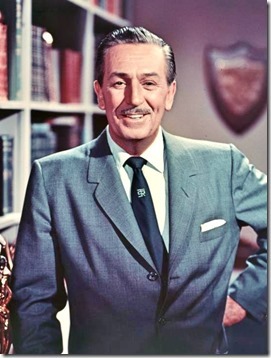 In many of his personal and television appearances, you can see him sporting the “STR” monogram tie. When sculpting the famous Partners statue found at several Disney Parks and at The Walt Disney Studios, Blaine Gibson recognized and paid homage to the importance of the place to Walt, by including the iconic tie in his 1954-based depiction of Walt. 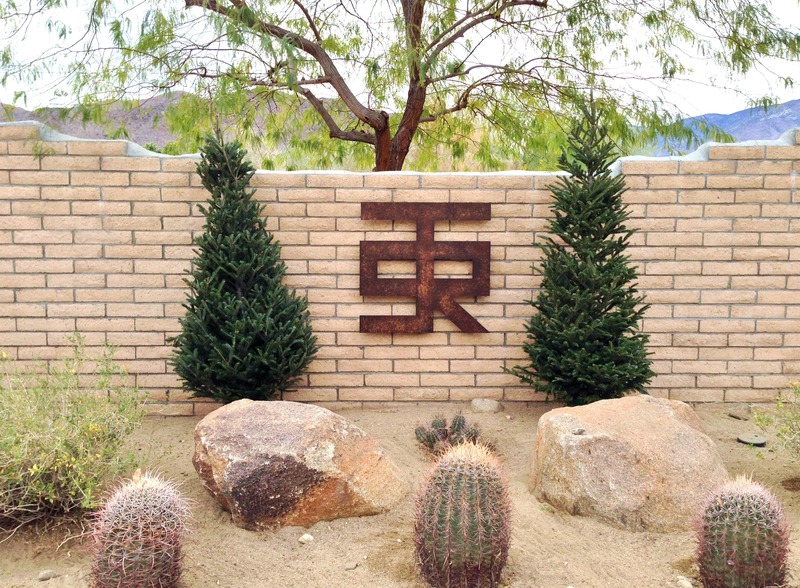 For the man who loved a simple meal of chili, the love of his family and a story well told, the openness of the desert and understated nature of Smoke Tree Ranch fit Walt as comfortably as a pair of old boots. This entry was posted in Walt Disney history and tagged California, home, houses, Smoke Tree Ranch, STR, vacation, Walt.